The signalman's view north from Chesterton Junction Signal Box. 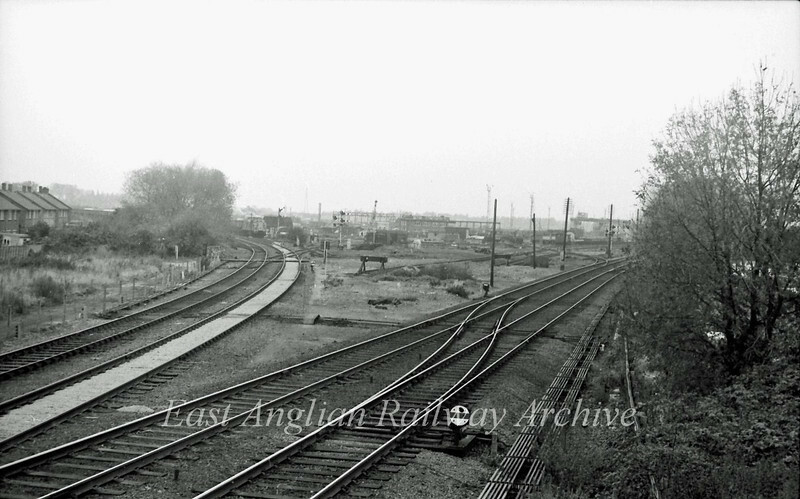 The line to Ely and Kings Lynn is to the right. The St Ives branch curves in from the left. In the distance 37110 has the clear signal to proceed onto the main line. The area between the two lines is Chesterton permanent way depot. Photo dated November 1980.